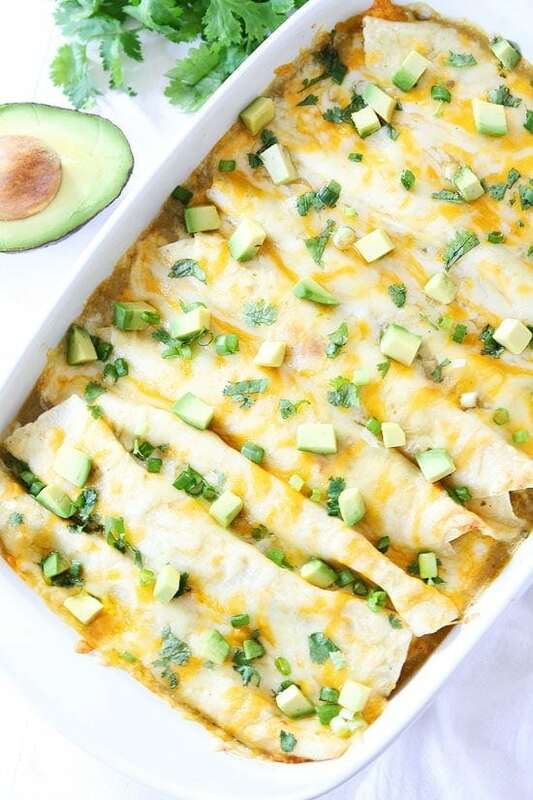 Enchiladas to Spice up your Cinco de Mayo! 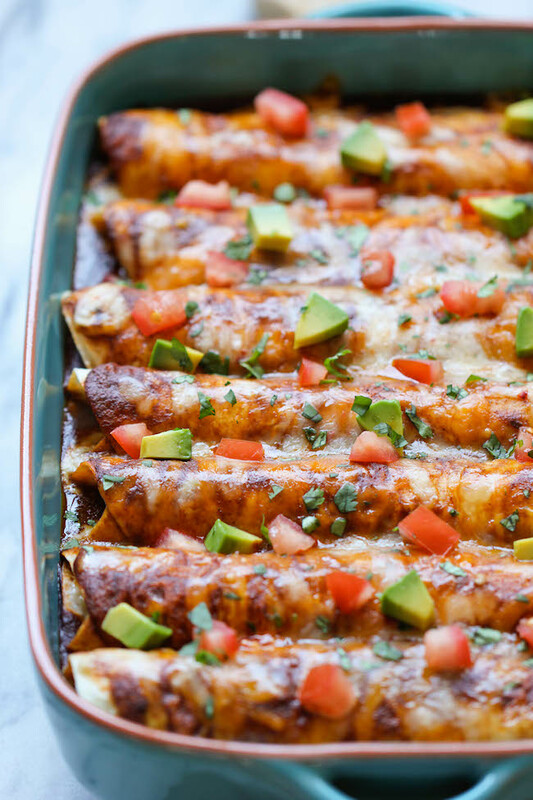 Enchiladas are easy to whip up for your Cinco de Mayo festivities! A veggie, beef, and chicken recipe to choose from! 2. To assemble, spread about 1/2 can of enchilada sauce in the bottom of a 9 x 13 baking dish. Fill each tortilla with about 1/3 cup of the spinach mixture. In a medium bowl, combine both kinds of shredded cheese. Sprinkle cheese over spinach mixture, about 3 tablespoons per enchilada. Roll up and place seam side down in the baking dish. When all enchiladas have been rolled and placed in the pan, top with the other 1/2 can of enchilada sauce and about 1/2 of the other can. We had some sauce leftover. Sprinkle remaining shredded cheese on top of enchiladas. Bake 20-30 minutes or until the cheese is melted, and the sauce is bubbling around the edges. 3. Garnish enchiladas with green onion, cilantro, and avocado, if desired. Serve warm. Note-these enchiladas freeze well. Cool completely, without toppings, and place in a tupperware container. Reheat individual servings in the microwave when ready to eat! You can also freeze an entire pan and reheat in the oven! Heat olive oil in a saucepan over medium high heat. Add ground beef, green chiles, salt and pepper, to taste. Cook until browned, about 3-5 minutes, making sure to crumble the beef as it cooks; drain excess fat. Serve immediately, garnished with cilantro, avocado and tomato, if desired. Pour sauce over enchiladas, top with shredded cheese and bake 10-15 minutes or until it’s nice and bubbly. ← Drinks to Celebrate Cinco De Mayo!